Today, Honda Racing Corporation have announced a new President to take the reins from Tetsuo Suzuki. After 5 years at the helm of HRC, Mr. Suzuki will begin a fresh challenge in a new Honda department where his role will be to lead a new team to create captivating bikes for Honda fans Worldwide. Mr. Suzuki commented on his time at HRC and confirmed his replacement, Mr. Nomura, would continue in the same mindset as he has followed: “During my time at HRC I have always kept in mind the HRC philosophy ‘the emotion of motorsport is the joy of the victory, the joy of achieving your target and the joy of participating’, I’m sure my replacement, Mr. Yoshishige Nomura, will continue with these same values”. 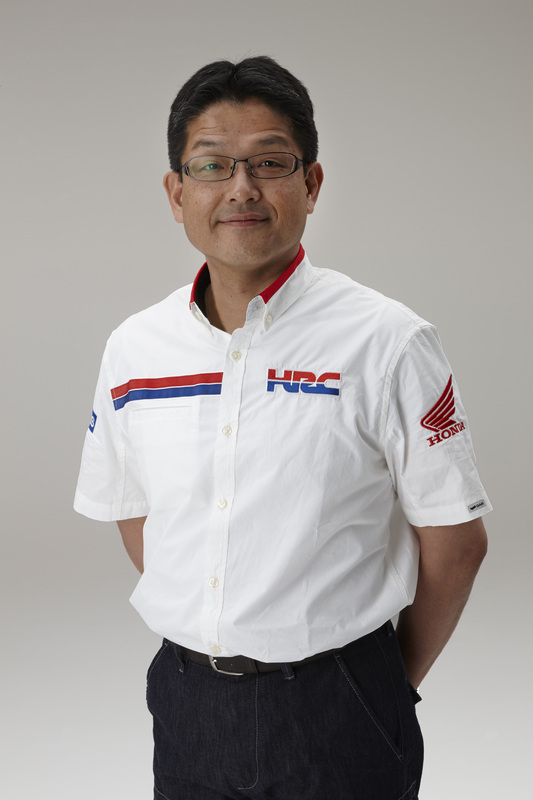 Mr. Nomura, began his career in Honda R&D engine design in 1985, working on the NR750, RC30 and RC45, then moved to HRC in 1994, where he spent 8 years as the Engine Project Leader of the RVF and RVT, and also worked on the RC211V as Engine Technical manager. After an absence of 12 years, he returns to HRC to take over from Mr. Suzuki: “I am honoured to take over the role from Tetsuo Suzuki who has had a remarkable era with HRC. The results in the past few years speak for themselves and I am here to support and direct HRC to continue in this successful, victorious mindset. 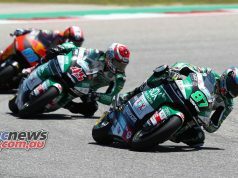 I am focused to build up HRC’s involvement in Off-road, World Motorcross and Moto3 in addition to Road Racing, and enhance the racing activities in Asia through the new Asia Talent Cup”. He also commented on the fantastic season HRC enjoyed in MotoGP last year: “2013 was a great season for Honda MotoGP and we celebrated our third successive Constructors Championship, 62nd in our history, and I am very proud to take the reins of this formidable team. Rookie Marc Marquez had an outstanding season and Dani Pedrosa was unfortunate to sustain an injury in Sachsenring and thus making the remainder of his season very hard to close the gap. Now we have begun 2014 in fantastic form with a double podium – Marc on the top step and Dani in 3rd – and I hope this is a sign of things to come”. Mr. Nomura ended his welcoming speech with a tribute to the MotoGP team’s title sponsor, Repsol, with whom they celebrate the 20th Anniversary this year: “This season we celebrate our 20th Anniversary with title sponsor Repsol, this long and distinguished partnership flourishes every year and we are very grateful to have such a wonderful technical, and commercial partner. Together we have shared a great deal of success, and I’d like to thank everyone at Honda and HRC, all our sponsors and technical partners for their valuable ongoing support. We will work hard to retain our crown as MotoGP World Champions in 2014”.